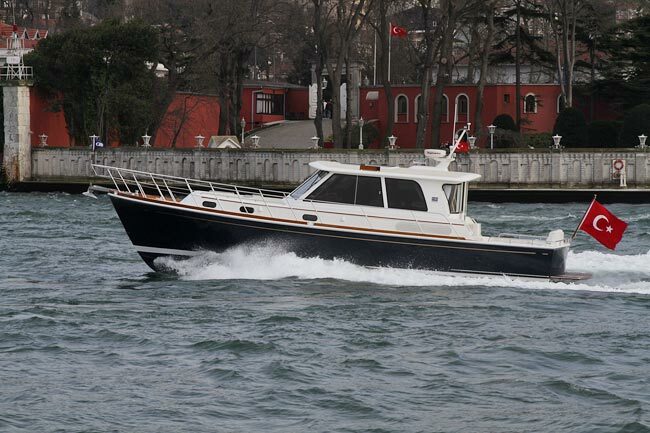 Grand Banks Yachts celebrated the international debut of its new 46 Eastbay SX here today at the 2010 Eurasia Boat Show. 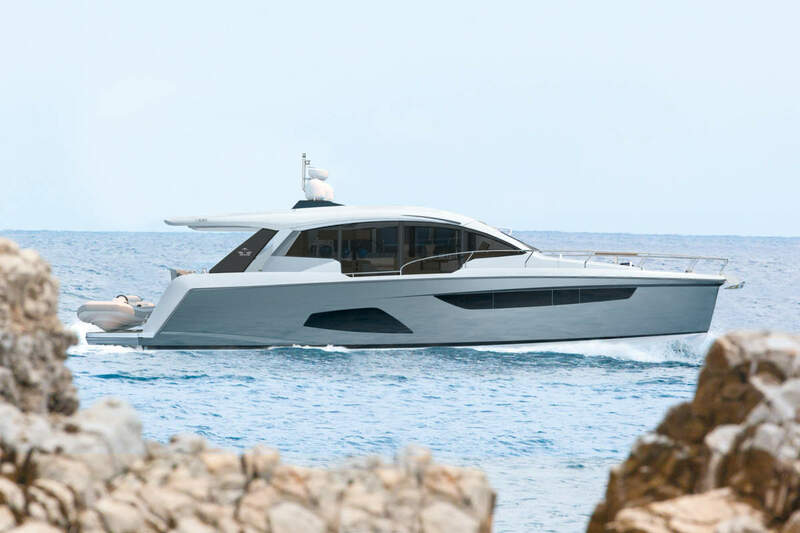 Like many of its new models, the 46SX combines timeless nautical styling with new and innovative technologies, a combination that has won strong acclaim for the company in markets around the world. 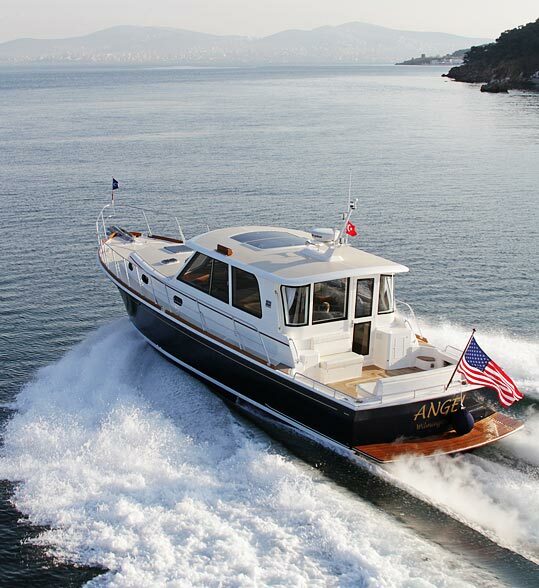 Chief among those new technologies is the Zeus propulsion system from Cummins MerCruiser Diesel. With joystick docking control, reduced noise and emissions, superior maneuverability and improved fuel efficiency, the twin Zeus pod drives deftly complement the powerful performance of the Eastbay Series. 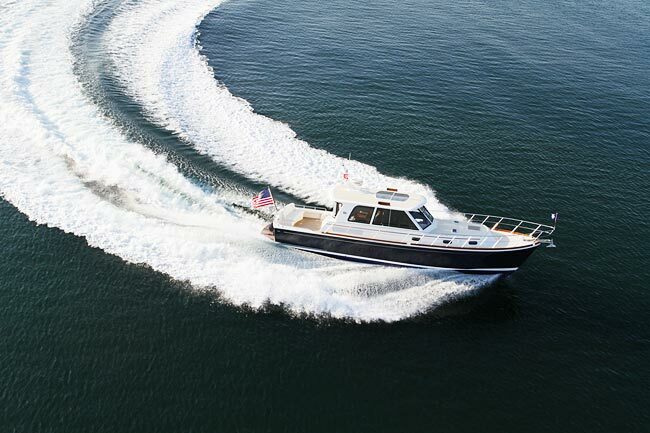 In factory sea trials with standard twin 600-horsepower diesels, the 46SX has reached top speeds of well over 30 knots. 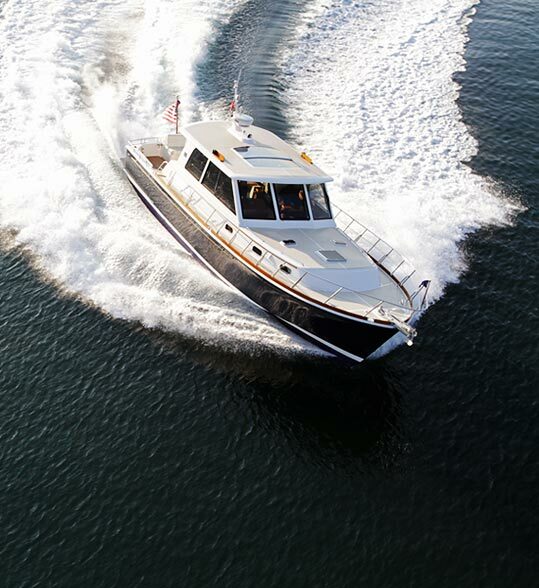 The 46SX is the second Grand Banks to offer Zeus pod drives, after the trawler-styled 41 Heritage EU that launched in 2008. Like the 41EU, this new Eastbay was designed to take full advantage of the Zeus system and its compact footprint to open up more room for accommodations. 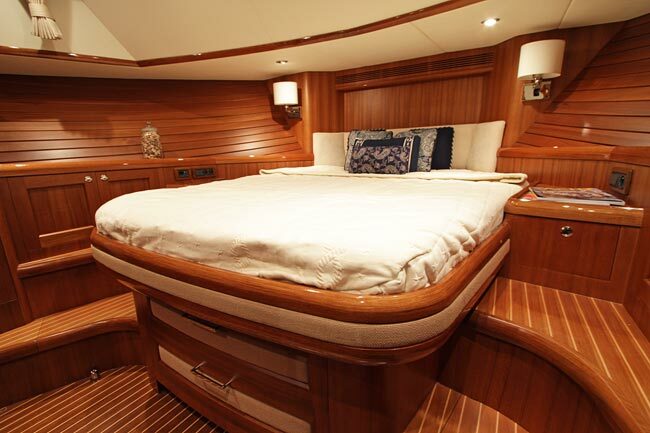 As a result, owners can opt for a two- or even three-cabin layout in the 46SX, a noteworthy feature for a vessel of this size. “All three are honest-to-goodness cabins, not glorified lockers with a berth laid on” said Neil McCurdy, Vice President of Sales and Service for Grand Banks. The 46SX continues the stylish evolution that other recent models have brought to the Eastbay Series. 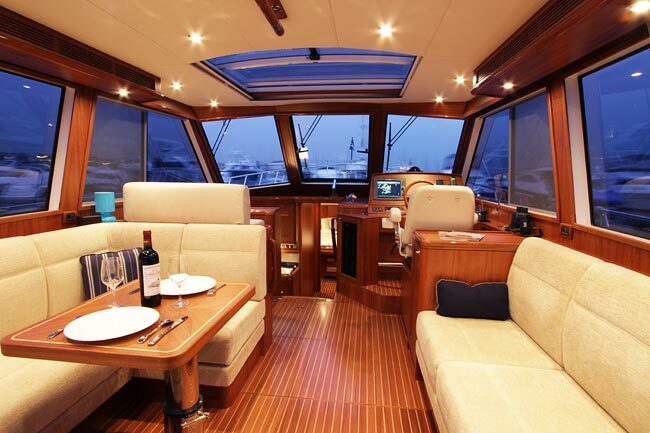 Owners can choose from a standard galley-down layout, or a unique galley-up version that maintains plenty of seating in the salon. 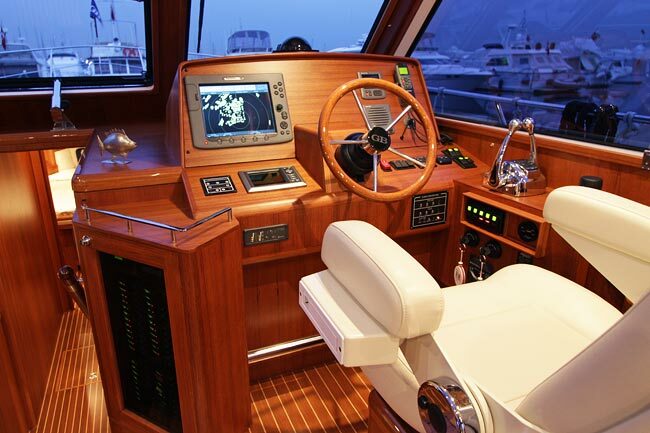 Class-leading amenities include standard Stidd helm seats, granite countertops, and handcrafted teak throughout. 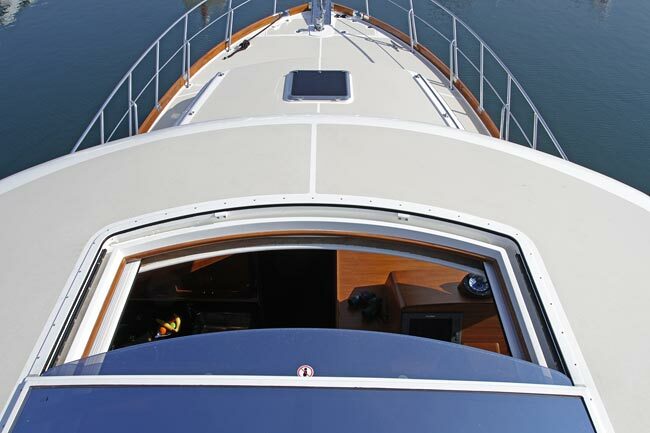 With an optional power sunroof, and a standard aft salon window that disappears at the touch of a button, the bright and airy salon opens gracefully to the aft cockpit where built-in seating and hand-laid teak add to the comfort and luxury. One feature that has not changed on the new 46SX is her hull design. Like all previous models in the series, this newest Eastbay uses the same C.R. 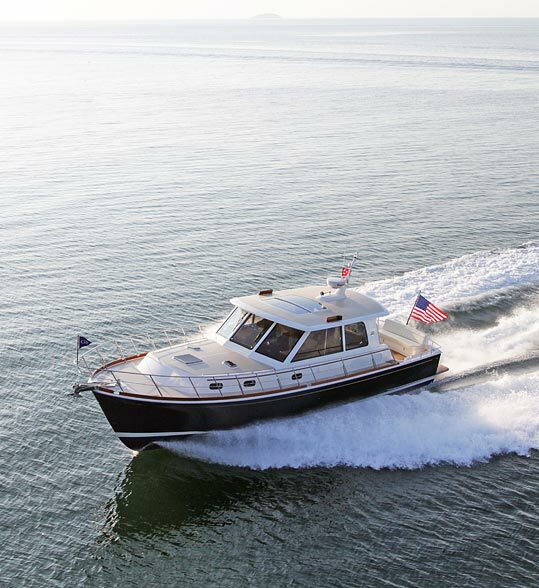 Hunt Associates-designed hull that has won broad acclaim for its solid, seaworthy handling. Im a big Grand banks fan have been since \i saw it in the first Jaws film, must be built well if it can survive a shark attack like that! Nice to see new models coming fron GB and the Eastbay looks fantastic too.